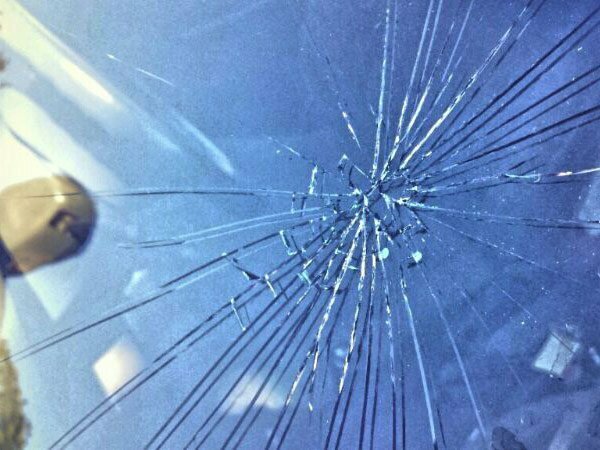 A Westville man says it was his first instinct not to stop after he heard a rock about the size of tennis ball hit the roof of his car while driving under a bridge on the N3 in the vicinity of Warwick Triangle yesterday. Trent Burnette has told Newswatch he feared it could have been part of a plan to hijack his vehicle and he carried on driving. He says the had not noticed whether there were people on the bridge as he was driving towards it. Burnette says he didn't stop because he knows that his vehicle is one of the most hijacked. "I was in my Toyota Hilux double cab - maybe I was targeted, I don't know. I was going through beneath the very last bridge before you get to Warwick Junction so you can either go down to Warwick Junction or on the new fly over. I just felt and heard this rock and usually these guys do this sort of thing to make you stop. It hit my roof, it bounced and hit my roof rack and went over to the back of the car," he said.